C&G Partners designed this website, along with an interactive kiosk and innovative "green" exhibit, for the AIA. 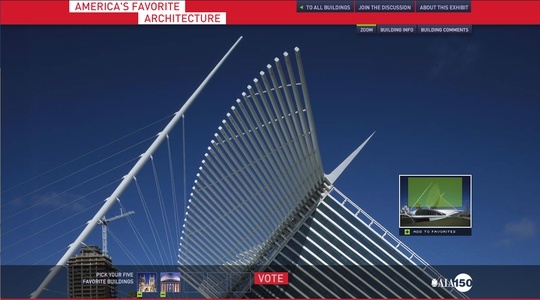 The website allows online users to explore the architectural projects in detail and vote for their personal favorites.The projects featured in America’s Favorite Architecture are a result of a poll of the public and AIA members in conjunction with the 150th anniversary of the American Institute of Architects. The 150 buildings, bridges, monuments, and memorials in this exhibit represent some of the best of America’s architectural heritage. 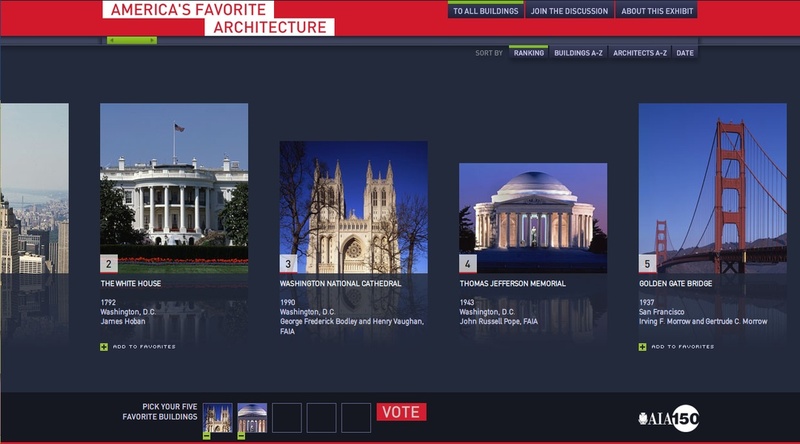 They reflect the fact that when people are asked to select their favorites, they choose buildings and designs that symbolize innovation and the spirit of their country and community.